Thank you to Aimee from Littlemisspiggybeautyx for nominating me. It's taken me a while to get round to this! 2. 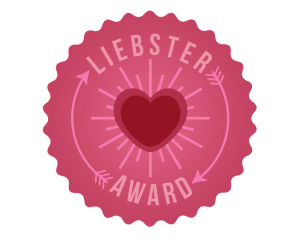 Copy and Paste the Liebster Award badge to your post. 3. Nominate 10 new bloggers who have less than 200 followers. 4. Answer the 10 questions the person who nominated you asked you. 5. Create 10 new questions to ask the bloggers you nominate. 6. Notify the bloggers you have nominated by leaving them a comment on their blog. 1. Why did you start blogging?Blogs are such a great place to find out about new products, TV shows, books and I had certain blogs I liked reading so I thought I'd give it a go myself. 2. What is your favourite post on your blog? And someone else's? I think my favourite on my own blog is probably the one I did last month about Book series I've loving. Both of the series that I included aren't too well known and I'd like to think I've helped at least one person discover them. Plus Jessica Grace Coleman, one of the authors, liked the blog post and shared it with her followers. It's a lot more difficult for me to think of a specific post on someone else's blog. I've discovered so many blogs recently. At the moment, I've been loving WhichBeautyBoxUK's posts on the Look Incredible boxes. 3. What's your favourite blog? My favourite right now is Beauty By The Bunny. 4. What do you love and loathe most about blogging? I'm still very new to blogging so at the moment, I don't loathe anything! I love the sense of community though. I'm a very shy person, so I feel like this is a good way to get me out of my shell a bit more. It's only been about three months so far. 6. If you could meet anyone from the entire world, who would it be? James Cameron. I have so many documentaries on dives to the Titanic wreck, but I'd love to hear about it in person from him. 7. Which do you prefer most, makeup or fashion? If I'd been asked this a few years ago, the answer would most definitely be fashion. But now, it's 100% makeup. I'd rather buy high end makeup and stick with clothes from Primark then have to have a smaller makeup budget! 8. What do you love most about the blogging community? I've not been part of it long, so right now I'd have to say how welcoming everyone is! 9. If you could invent a beauty gadget that doesn't currently exist, what would it be? ... I've been sat here for 15 minutes thinking and I still have nothing. 10. If you had your own fashion/beauty/home interior line, what would you call it? I like the name BitterSweet for a clothing line. I either like to where dark clothing or pretty dresses so it kind of sums up both moods of my style! 2. What are your blogging goals for 2016? 3. What TV shows are you loving at the moment? 4. What makeup brand do you think is underrated? 5. Do you have a set blogging routine? 6. What is your favourite music album right now? 7. What type of blog posts do you enjoy most? 8. What is your all time favourite perfume? 9. What is your favourite blog? 10. What do you wish you'd known before you started blogging?